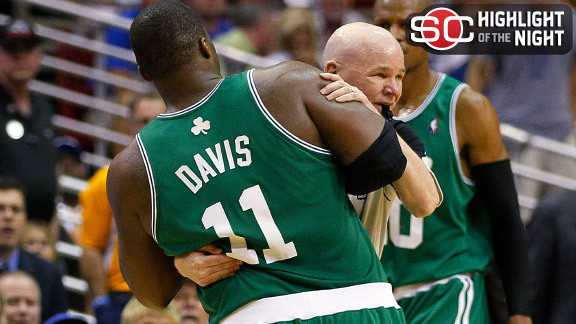 Orlando stood alive last night with a 113-92 win over the Celtics. It was a physical and emotional game and Orlando is starting to play the way they were in the first two rounds. Dwight Howard had 21 points and 10 rebounds, to lead the way. Can they stay alive and win the series? The Orlando Magic completed the 4-game sweep of the Atlanta Hawks last night. Vince Carter led the way with 22 points and Rashard Lewis added 17 in the 98-84 win. They now advance to the Eastern Conference Finals to face the winner of the Cavs/Celtics series. 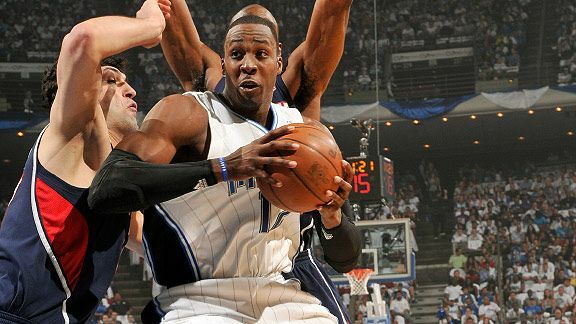 The Orlando Magic dominated the Atlanta Hawks in game one of the Eastern Conference Semifinals. Dwight Howard had 21 points and 12 rebounds in the 114-71 victory over the Hawks….yes a 43 point victory. 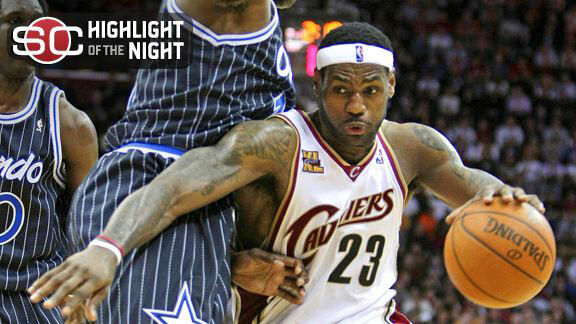 Lebron James ended the fist half of the NBA season last night with a win over the Orlando Magic. With the win, the Cavaliers extended their winning streak to 13 games in a row. Lebron had 32 points, 8 rebounds, and 13 assists. Dwight Howard had 19 points and 11 rebounds in the 115-106 loss to the Cavs. Last night was a very entertaining game 1 of the NLCS between the Phillies and Dodgers. Cole Hamels didn’t have another great outing but the Phillies were able to pull off a game 1 victory by the score of 8-6. Carlos Ruiz, Dwight Howard, and Raul Ibanez were clutch in the Phillies victory as Brad Lidge got the save. I know it’s a little late on the post but game 2 is actually on right now. Wow. I am actually writing a blog entry that says the Magic are headed to the NBA Finals. They finished the Cavs off last night and made it look easy. It was so easy that Lebron was mad and left the court and then arena with no handshakes or press conference. Congrats to the Magic and their leader Dwight Howard for reaching the finals. Lakers or Magic? 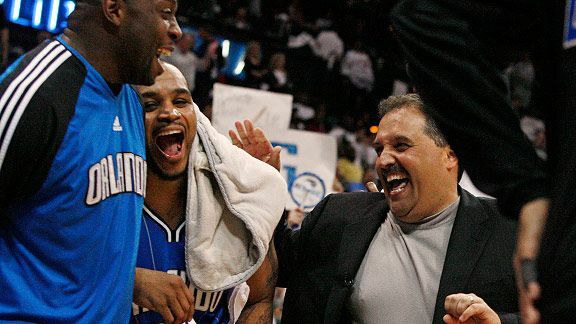 I can’t believe I’m saying this but the Orlando Magic are one win away from reaching the NBA Finals. Last night, they were just a little too much to handle as they defeated the Cleveland Cavaliers 116-114 in overtime to take a 3-1 series lead. Again, Lebron James had a big game, but no one else (besides Delonte West’s 17 points) stepped up from the Cavs. The Cavs are one loss way from being eliminated after starting the playoffs 8-0. Orlando had 17 3-pointers in the game. Dwight Howard scored 27 and had 14 rebounds in the win. What do you think the outcome of the series will be? Well, I know at least one person to say that Orlando is the only Eastern Conference team that can shut down Cleveland right now and from yesterday’s game and even the rest of the series, it seems true. Orlando played hard last night and even when it was close they were still able to pull away enough to win the game 99-89. Players like Courtney Lee, Rafer Alston, and Hedo Turkoglu stepped up last night and were key parts of the equation for the Magic win. Dwight Howard scored 24 and added 9 rebounds. Lebron James scored 41 but was mainly a one man team last night. Cleveland is in some trouble. Well Orlando looked out of it after what happened from game 5. Game 6 in Orlando was another story. Dwight Howard got the ball, like he was complaining about after game 5, and had 23 points and 22 rebounds in the 83-75 victory over the Boston Celtics last night. Rashard Lewis had 20 points and Hedo Turkoglu had a key 3-point shot to seal the deal for Orlando. So there now is a game 7 for this weekend. Being that game 7 is going to be in Boston, I have a feeling Boston might take it and would be surprised is Orlando stuns them. Orlando was not trying to do the whole overtime thing that Chicago and Boston went through in the first round, last night. The Magic had a decent lead throughout the game until Boston started creeping back in to the game. Dwight Howard had 16 points and 22 rebounds in the 95-90 win over Boston. Orlando’s lead was at 28 points at one point and the Celtics just went on a run in the fourth quarter narrowing it down to about 5 points, which the final score ended up being a 5 point victory. Paul Pierce scored 23 points and Rajon Rondo added 14 points, 10 rebounds, and 8 assists. The series is now 1-0 Orlando and they also have home-court advantage.